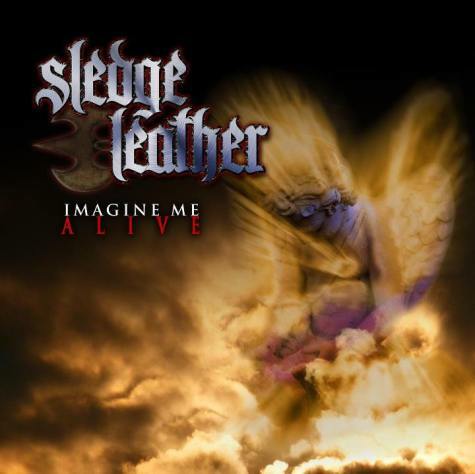 Former DIO members Scott Warren (keyboards) and Jimmy Bain (bass; also ex-RAINBOW) make guest appearances on “Imagine Me Alive”, the debut album from SLEDGE LEATHER, the new band featuring former CHASTAIN singer Leather Leone. The CD is available by sending $10 via PayPal to tempadime@yahoo.com. A five-minute preview of the forthcoming concert DVD from SLEDGE LEATHER , can be seen below. The footage was filmed at last year’s edition of the Keep It True XIV festival, which was held April 29-30, 2011 at Tauberfrankenhalle in Lauda-Königshofen, Germany. Performing alongside Leather at the show were MALIBU BARBI drummer Sandy Sledge, bassist Betsey Stephens and guitarist Brett Baugh (who has since left the group). The setlist contained a lot of CHASTAIN classics, songs from Leather‘s solo album and brand new songs.